For many, Los Angeles ends at the river. But if you stop there, you fall short of exploring one of the best Chinatowns in America. The San Gabriel Valley in East LA is known for strip malls, but not the soulless type of strip mall devoid of culture you’d find most everywhere else in the country. Drive down Valley Boulevard and you’ll see that it’s an artery that connects the hundreds of Chinese restaurants in the cities of Monterey Park, Alhambra, San Gabriel, and Rosemead. These strip malls tip you off immediately to the fact that the Chinese food here is the real deal; the open courtyards have nods to Hokkien architecture, almost all of the signs for the eateries are in Asian characters, and most importantly, the parking lots are packed with cars. Dubbed “New Chinatown,” this enclave of Chinese restaurants is a rare manifestation of the American Dream: a place where immigrant communities can own and operate businesses for their own communities rather than gearing their menus towards tourists — and sacrificing their own culinary standards and cultural traditions in the process. Unlike in the more famous Chinatowns of New York City, San Francisco, and even Downtown LA, these restaurants don’t have to pander to tourist clientele and are instead sustained by locals who really know the cuisine — and demand the best. What results is a compact collection of diverse, authentic Chinese food that’s definitely worth going beyond the river to seek out. Today, more than half a million Asian-Americans live in the San Gabriel Valley, half of which are Chinese. 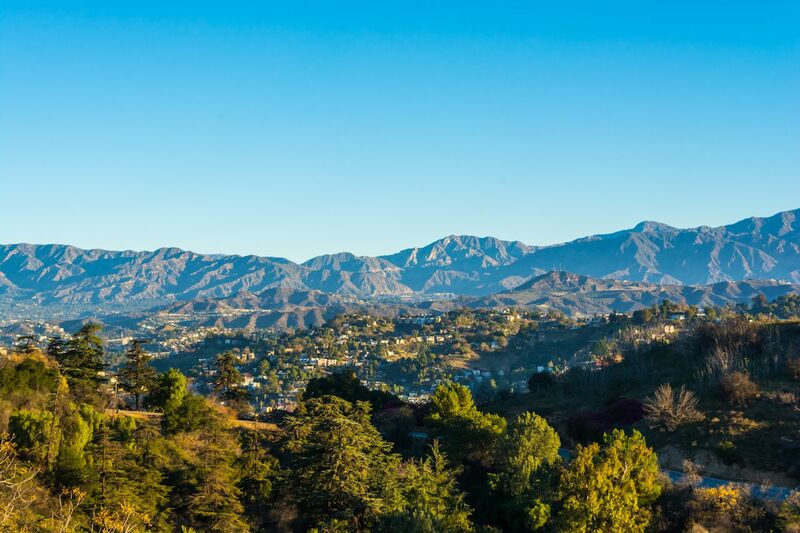 (The population is more than a third of Los Angeles County’s total Asian-American population.) The San Gabriel Valley first became majority Chinese in the 1970s, but the area saw waves of Chinese migration for over a century. Through the decades, the varying fortunes of industry and flat-out racism (ex: the Chinese Exclusion Act) had seen Chinese immigrants come, go, and be forced out of the East Side of Los Angeles. The godfather of the modern San Gabriel Valley Chinatown was a realtor named Fred Hsieh, who targeted home sales to Taiwanese clients in the ‘70s, promising a sympathetic community. He dubbed it “Little Taipei” or “The Chinese Beverly Hills” and advertised it in Chinese newspapers. Taiwanese and Chinese communities moved from the central city and out to the suburbs, creating what is thought to be the first suburban Chinatown and one of the first American “ethnoburbs,” a term from 2009 that refers to primarily non-white cities. The New Chinatown of the San Gabriel Valley began in Monterey Park, just north of the Latinx enclave of East LA. Monterey Park was the first city in the continental US to have a majority Asian population. Over time, the New Chinatown expanded into nearby Alhambra and Rosemead. Shaanxi Garden in San Gabriel ($$): Opened in 2015, Shaanxi Garden serves food from Shaanxi Province. The northwestern Chinese region was one of the starting points for the Silk Road. The most famous food claim to fame in the region is rou jia mo, which is a crispy bun filled with spiced meat. 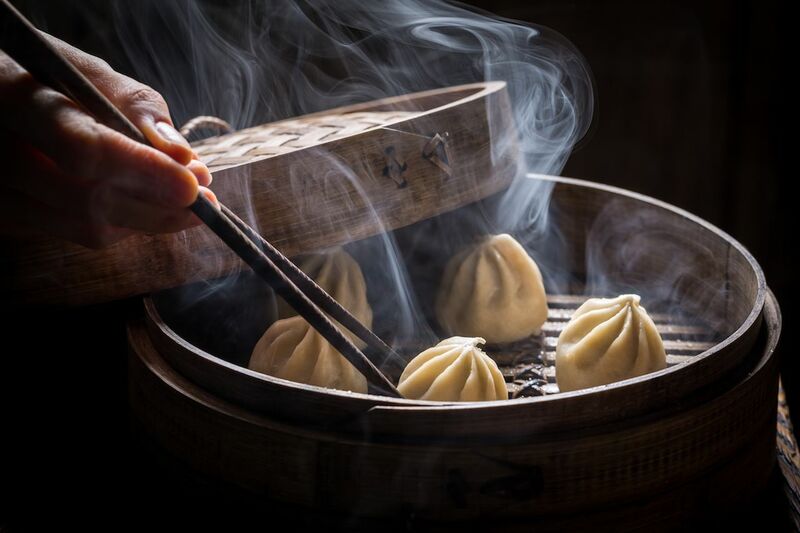 At Shaanxi Garden, order the rou jia mo and one of the many hand-pulled noodle dishes. Beijing Pie House in Monterey Park ($): A spot for northern Chinese specialties since 2011. 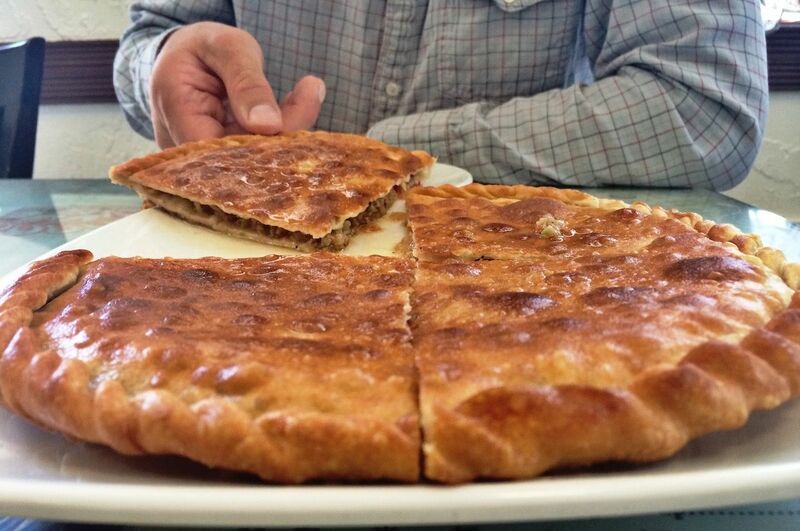 Be sure to order one of the dozen xian bing, which is a pan-fried dough the size of a hockey puck that’s filled with meat or vegetables. Dumplings, savory pancakes, and noodle soups are also solid choices. 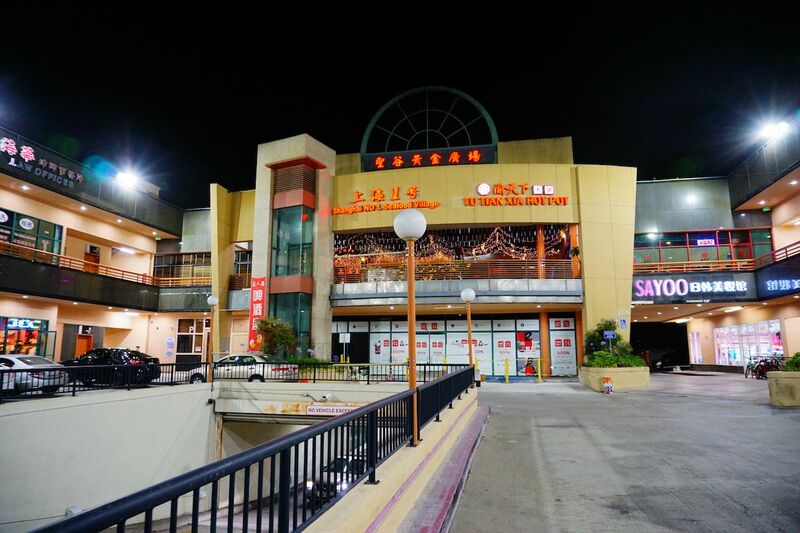 Sea Harbour in Rosemead ($$): Where to go for Cantonese dim sum. By some estimations, it’s the best dim sum in LA. It’s a fancy establishment, so plan accordingly. You can’t go wrong with any of the dim sum orders here. 101 Noodle Express in Arcadia ($): Original Angeleno and Chinese fusion food. It’s famous for beef rolls that draw inspiration from Beijing street pancakes, but these have an original California twist. The dish is made with tender, flattened beef that’s rolled in fried flatbreads with sweet sauce and herbs. Omar’s in San Gabriel ($$): Omar’s serves up western Chinese dishes from the part of China that borders Mongolia. The food is halal and what you’d find in Xinjiang’s Islamic Uyghur cooking. Eat all the lamb and hand-pulled noodle dishes you can here. Chengdu Taste in Alhambra ($$): A mini-chain of restaurants responsible for popularizing Sichuan flavors in Los Angeles. Order dan-dan noodles if you’re not up to spicy food and the boiled fish with green pepper sauce if you are. Mian in San Gabriel ($): A casual noodle bar from the same people who started Chengdu Taste. Mian serves big bowls of house-made noodles, like a ramen shop, but with the mala (spicy, numbing) flavors of Sichuan favorites like dan-dan noodles. It’s the best spot for a noodle lunch. Huy Fong Foods in Rosemead: San Gabriel Valley’s culinary influence isn’t just contained to restaurants. The most iconic structure in the San Gabriel Valley might be the Huy Fong Foods warehouse, best known for its Sriracha sauce (the one with the rooster on it that you know and love). The sauce was developed by a Vietnamese refugee, David Tran, who turned a one-man operation into a hot sauce empire through a few decades of hard work. His company is named for the Taiwanese firefighter that helped him and thousands of other Southern Vietnamese escape during the war.